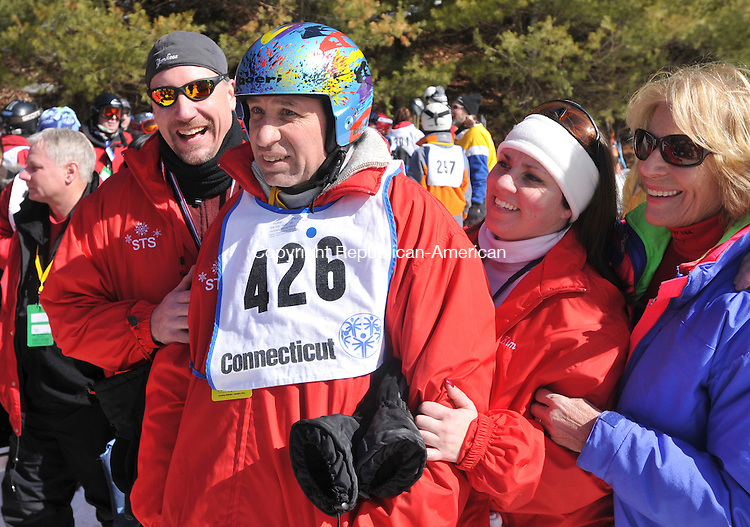 NEW HARTFORD, CT- 28 February 2009 --022809JS09-Walt Paul of the Southbury Training School ski team waits with family members during the awards ceremony at the Special Olympics Connecticut's 2009 Winter Games at Ski Sundown in New Hartford on Saturday. Ski Sundown was just one of four venues throughout the state for the winter games this weekend. Compeition continues today (Sunday) starting at 9 a.m.